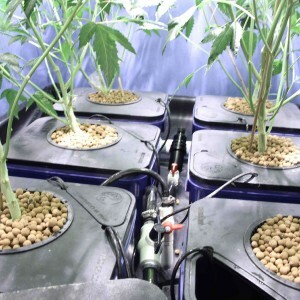 When it comes to flushing and cutting your marijuana plants, timing is everything. You want to let your marijuana plants bloom as long as they need to so you get the highest THC percentages and weight. And you want to time your flush/cut precisely, to ensure you don’t end bloom phase too early or too late. Today we’re giving you the top five factors that tell you when it’s time to end marjuana bloom phase. When I say “end bloom phase,” I mean start flushing, and then after the flush is finished, do the cutting. These harvest timing factors are interdependent and interactive. The more of these indicators you see, the more sure you can be that it’s time to flush. For some strains of marijuana, you might see all of these factors happen at once. THC filled resin glands look like a golf ball on a tee. When you see more than 15-20% of the glands starting to shrink, fall, or otherwise deteriorate, it’s time to start flushing. Ditto if you see 25% or more of your glands going from clear to cloudy or clear to amber (although a few marijuana strains have naturally amber resins for most of bloom phase). I used to use a photographer’s loupe and a high-powered magnifier to examine resin glands, but this amazing digital microscope is way more fun, and functional. It allows you to get way closer in, store your gland shots for easy viewing, sharing and comparison, and zoom in to really see the details! Watch the condition of your marijuana resin glands and they’ll tell you when bloom phase is over. When your buds are young, your calyx hairs (pistils) are white, thick and vibrant, although some varieties have naturally tinted hairs that are pink/red, thick and vibrant. When 25% or more of the hairs are crinkling, desiccating, or falling, your medical marijuana plants are likely at the end of peak bloom phase. 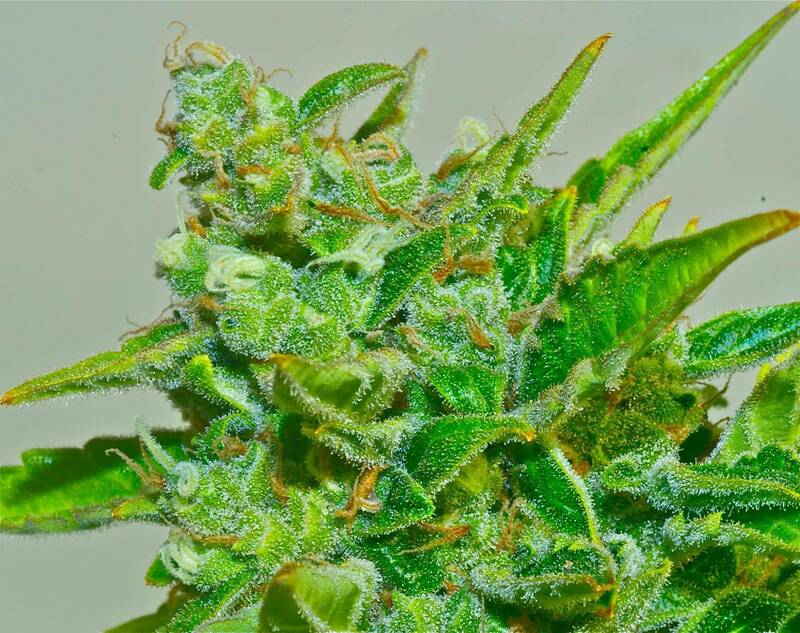 If you’re buying quality genetics from professional breeders like Dutch Passion, TH Seeds, Sagarmatha, Sensi Seeds, Delta-9, Serious Seeds, and other established seed breeders, you can absolutely rely on their bloom length estimates. For example, if you’re growing Kushage from THSeeds, they give you a 66-70 day flowering estimate. If you’ve grown your Kushage properly so it didn’t fall behind due to hydroponics nutrients issues or other problems, you can count on that 66-70 day window. When your cannabis plants hit 66-70 days in bloom, it’s time to flush and cut. This factor is harder to use unless you are very familiar with your strain’s bud development based on close observation in past bloom cycles. When your buds are past peak, you notice they stop getting larger in diameter, their colors start to fade or go to an almost purple-black, the hairs fall and disappear, their glands begin to shrink and change from clear to cloudy. In some strains, it’s kind of the opposite: when your buds are past peak, they start sending out new calyxes and leaves. Pure Sativa strains will sometimes try to keep on flowering forever, but past their peak the floral growth will be airy and lack THC. If you’ve got Sativas that don’t want to finish, cut their lights-on cycle from 12 to 11 or 10 hours. When your marijuana plants are tired and ready for harvest, you may notice that the buds don’t have the powerful smell and fresh, gooey, colorful appearance that they had only a week or two before. Especially if you’re seeing fallen glands, hairs gone bad, no new bud growth, almost all the plants’ leaves are yellow, or the plants are at the maximum bloom phase length that the breeder predicted, the lack of scent is like the icing on the cake, telling you that your marijuana crops are ready for flush and harvest. Now take a look at my photo accompanying this article. Here’s my harvest timing factor analysis for this bud: Some hairs have turned from white to red and are starting to deteriorate. The resin glands are still clear and mostly upright and unspoiled, although a few have fallen heads. The leaves still show signs of nutrition. The bud was still expanding in diameter at the time of the photo. The bud was still putting out scent, especially at the start of light cycle. According to the breeder’s instructions, this marijuana was to be harvested in 11-16 more days. I agree with that timing. I would give this bud about 9-11 more days, and if the indicators continued to trend as they already are, I would then flush and cut. Obviously, these factors are not a math equation. Evaluating your buds is an art and a science. Look at the video embedded in this article, and you’ll see that the videographer has a few slight variations from what this article says. Every marijuana strain is different. Only you can determine what your favorite high is, Just realize that the high your marijuana gives you is partially determined by how long you let the resins ripen. In general, the five factors in this article are the prime indicators that tell you when it’s time to say goodbye to that bloom cycle and get ready for flushing, harvesting, drying and smoking your medical marijuana. In future articles we’ll talk more about flushing, cutting, curing and drying your crops. Please remember: even if you’re growing in the best organic supersoil, you still need to flush your medical marijuana. Using careful observation and looking for two or more of the factors above to coincide, you’ll know for sure when to start flushing your medical marijuana so your harvest timing optimizes THC, appearance and weight.